I was in Charleston, South Carolina on business this week (which, I must say is a nice place to be in December when there is a foot of snow on the ground at home.) While there, I stopped by MINI of Charleston which is the home of the Spec B Championship winning MINI of Brad and Robbie Davis. (Brad is the General Manager there and Robbie is his son.) MINI of Charleston will also provide a conversion kit or complete car so you can go Spec B racing. I’ve been having some issues with my rear brakes at the track so I figured who better to ask advice than someone who races MINIs at a top level, so I spoke with Stuart Kestenbaum who was their crew chief this year. Spec B or Touring Class B (TCB) in Pirelli World Challenge speak, is designed as a way for club level racers to get exposure to professional racing, competing in the exact configuration as they do in SCCA Club Racing, but racing on Pirelli 15-inch racing slicks. B Spec cars have preparation limited to shocks, springs and the required safety equipment. The cost of preparing an R56 MINI is under $8,000 and you can order one new built to the spec for about $26K. 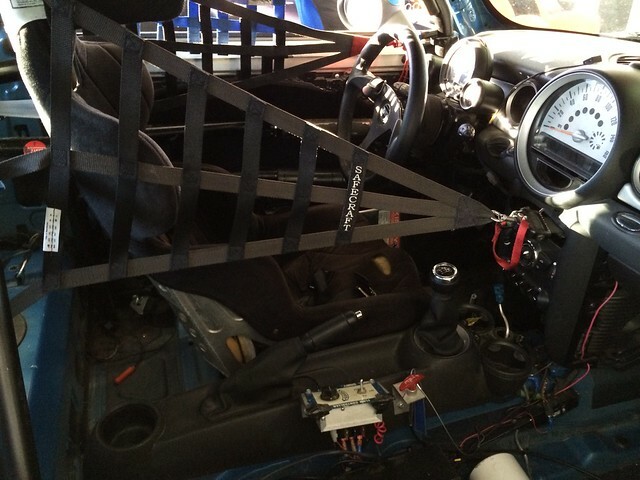 In racing trim, the car weighs about 2,600 lbs. The B Spec MINI was competitive right out of the box. They run a restrictor plate and only have 90 hp. Their biggest competition is the Honda Fit which has an advantage in lower gearing off of the line. I was interested in seeing the gutted interior and talking about brakes. TCB MINIs have to run stock brake calipers with Carbotech Competition pads. Spec B rules do not allow brake proportioning valves to be used. I wanted to know if they had any of the problems with excessive heat that I did. During track weekends I might get 2-3 hours of track time on Fridays (compared to less than 2 hours for the rest of the weekend.) During the last few event weekends, I completely burned through a set of pads in the right rear. At first I thought it was only on the unloaded side, but after running in the counter-clockwise direction on the Shenandoah Circuit, I realized it was always the right side. Stuart thinks I might be binding the emergency brake cable somehow and causing light pressure to be applied to the right rear caliper. This would account for the excessive wear and heat I’ve been experiencing lately. They had a similar issue with a previous model car where they also ran a stiffer rear sway-bar. I’ll have to get under the car and check it out. If nothing else, I can put some slack in the cable before my next track session. While talking brakes, I learned some interesting things about their experience in the B Spec MINI. They do not run any brake ducting. They have to use stock calipers and only used one set of rear pads for the entire season. In fact, they only changed the front pads once. I’ll have to try the Carbotech pads next year before I decide to go the route of upgrading to a big brake kit. Labor Day weekend brought what is likely to be the last Indycar Baltimore Grand Prix to the streets of Baltimore. For the past 3 years it has been an enjoyable way to spend the last long weekend of the summer season. 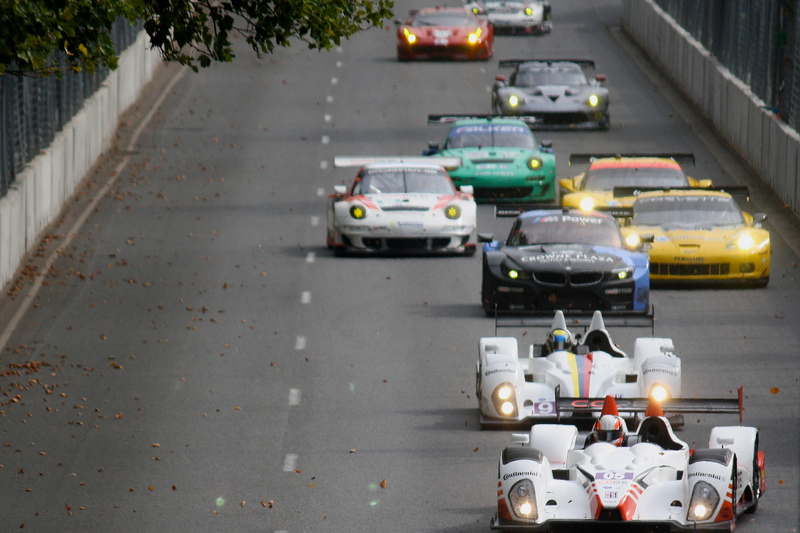 The city never really embraced the event, however, and didn’t do much to improve the racing surface. Most of the events were marked by brief periods of intense racing followed by tedious caution periods to pick up the pieces. But, it did make for an exciting photo opportunity. Many more photos here.